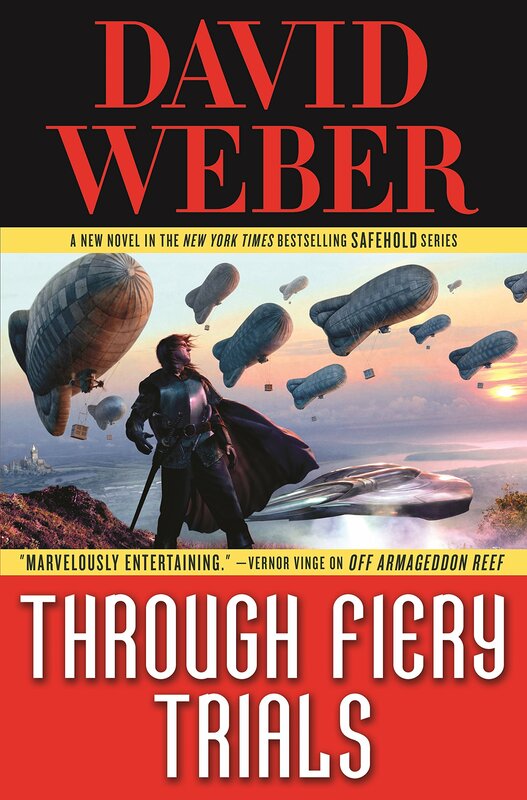 Here are the collected snippets from the forthcoming Safehold book Through Fiery Trials. Note 3: Preliminary release date January 8, 2019. Note 4: The book is available for pre-order at Amazon.com. 12/12: Added snippet #16, 17 & 18. Last edited by Joat42 on Wed Dec 12, 2018 10:19 am, edited 19 times in total. Joat42 wrote: Here are the collected snippets from the forthcoming Safehold book Through Fiery Trials. Thank you! Thank you! Thank you! I always appreciate it when you do this. Thank You Joat42. These are always so helpful, especially when pages of other discussions hide the one snippet I want. you mixed up the dates on the list above. The first snippet claims to be year 890, but that is most likely a typo because ATST ends at 899 and the internal numbers about the return fit to be calculated from 900, not 890. DirkF wrote: you mixed up the dates on the list above. I was wondering if anyone here knows what chapters/sections of the full book are covered in the snippets. I got the book on iBooks but I ve been keeping up with the snippets and I find myself rereading most of the beginning of the book. on the kindle version, I started hitting new materiel around the 20% to 25% point.